As I recommenced blogging at deaconchris, it seemed appropriate to freshen the design and look of this site. How blest we are to behold the beauty of God’s Temple. This weekend we took a quick road trip to North Platte. As we often do, we stopped in Grand Island for dinner. This time we stopped at Bosselman’s Truck Stop. As we sat down I noticed the man in the next booth. He must have been hungry, because there were three plates on his table, and he was dining alone.Our waitress, Shayla, was quite busy, taking care of a large section by herself, and seemed a little frazzled. After taking our drink order, she hustled off and the gentleman got up to leave. He said to me, “I’ve got to run, but would you tell the waitress ‘Merry Christmas’ for me?” I said, “sure,” and he left. He also left a $50 bill on top of his ticket. It had to be at least a $30 tip, maybe even more. When Shayla returned, we shared the Christmas greeting with her and her eyes welled up with tears as she shared, “I’ve got kids, this will really help with Christmas,” then she hustled off to help another table. Inspired by the kindness of a stranger we left a $20 tip for Shayla. Wish I could have left a $50 bill there as well, but I didn’t have that much cash on hand. God bless the quiet generosity in our world. The other day I was skipping around the radio dial and happened onto the song Christmas Canon Rock, by Trans-Siberian Orchestra. The song is a cover / reworking of Johann Pachelbel’s Canon in D Major, with Christmas lyrics. The lyrics are beutifully delivered by the talented Jennifer Cella with gusto and feeling. It’s delightful to see a rock band incorporate so much of their faith into their music. Three of their four albums CDs feature a Christmas theme. Thanks to Trans-Siberian Orchestra, Jennifer Cella, and all artisans who glorify God with their gifts. May God bless your work abundantly. The other day I picked up a pamphlet about a Novena to St. Jude in the back pew of Church. To those who work for the Church this is a regular occurance. Lots of church vestibules constantly see these sorts of things, sometimes with stern warnings to not remove the novena material and so forth. 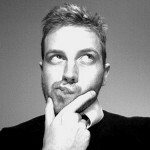 Why do some Catholics do such a thing? Well, in a word, superstition. There are lots of superstitious things that well-meaning (although mistaken) Catholics do. For example, even more popular than the St. Jude Novena (NEVER KNOWN TO FAIL, BY THE WAY!) is the goofy practice of burying a statue of St. Joseph in order to sell your home (HE WORKS FASTER IF YOU BURY HIM UPSIDE DOWN!). And, of course, often enough the home is sold, or the novena request is granted, thus reinforcing through lived experience and the resulting word-of-mouth how effective such activities are. Thankfully Joseph and Jude are both Jewish; so they can smile when I say, oy vey! Leave the propaganda at home and just pray the novena, people. And for God’s sake quit burying St. Joseph in the ground – not only disrespectful, but a violation of the First Commandment for sure, and likely the Fourth Commandment to boot. Thoughtful Sentiments, But . . .
I’ve been pondering recently things people say to make others (or themselves) feel better, yet are not necessarily true. “I believe everything happens for a reason, God knows best.” – While God does know best, He doesn’t cause our actions. That’s why we have free will; to freely choose (which presupposes the ability to choose wrongly) to do His will or not. “He (or she) is in a better place.” – While that may be true, it isn’t necessarily true; a loved one may very well be in heaven, but they also might be in hell. They also may be spending a little time being purified before entering heaven, i.e. purgatory. Although it’s not a statement offered to make others feel good, the equally annoying “death comes in threes” also irritates me. It’s heard around funeral homes and people who work with those near death. It’s just not true – ANY TIME someone dies, you can group them together with the next two to die or the previous one and preceding one, or the two previous. Mathematically “death comes in threes” is just as true as “death comes in twos” or “death comes in fours,” etc. The only true statement about deaths is that death comes in ones. Thus endeth my current rant on thoughtful sentiments. Enjoyed a WINDY day on Memorial Day. 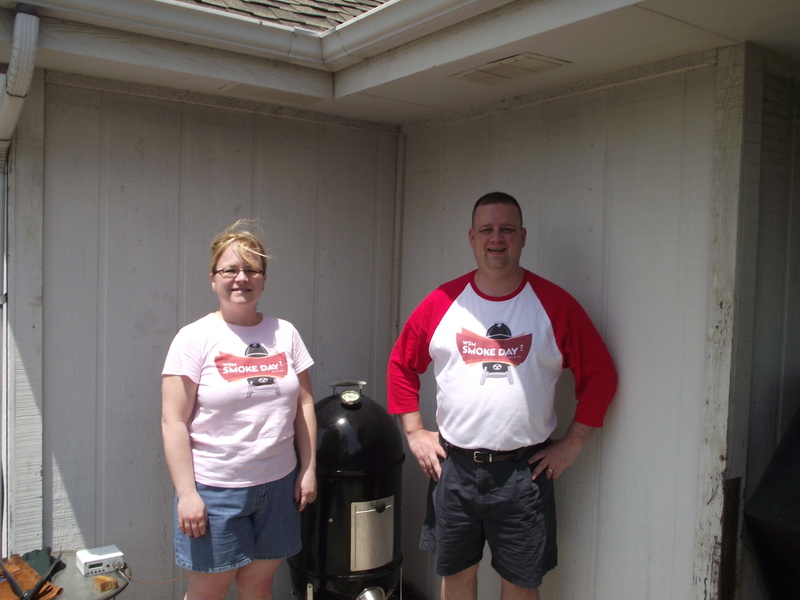 Lots of wind to irritate my Weber Smoker. Lots of “hot wind” stories told by George and Dad. 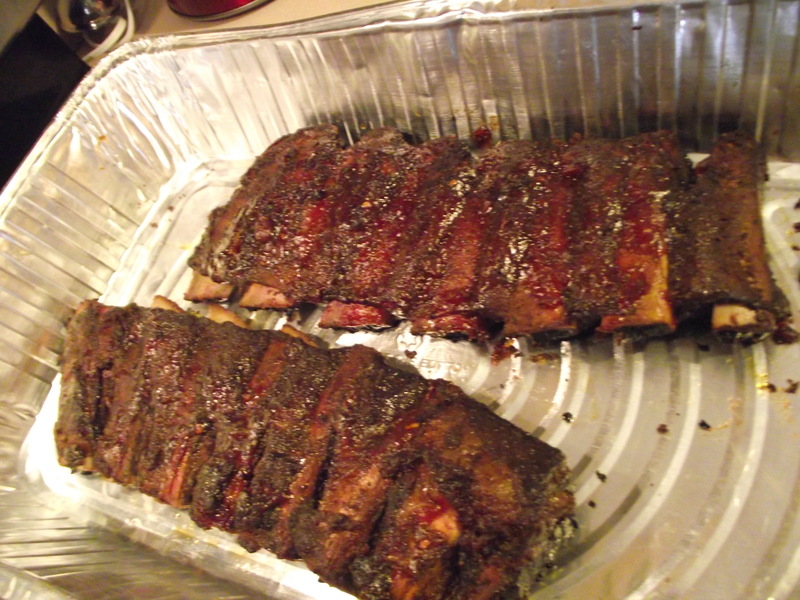 . .
Smoked beef (back) ribs were enjoyed by all guests. The bone remnants were enjoyed by Sophie. Nothing would taste sweeter than to see Big XII Commissioner Dan Beebe have to swallow his pride and present NU with the Big XII championship trophy to be hauled off to the new and improved Big Ten next year. By the way, throughout antiquity it was very common to take artifacts from those defeated in battle, or from conquered sites. The Romans were very proficient at this. 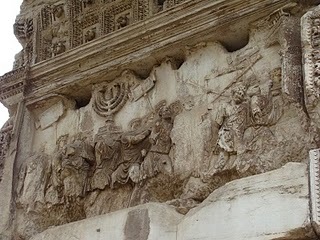 Shown here is a closeup detail from the Arch of Titus, one of the triumphal arches found in the Roman Forum. The relief shows Roman soldiers taking the candelabra (menorah, in Hebrew) [מְנוֹרָה‎] after destroying the Temple in the year 70. We know that this depicts the menorah from the Temple, because it is seven-branched, unlike the nine-branched menorah used during Hanukkah. And, before any of you share your smart-alec remarks — I know, I know, only Deacon Chris would mix Husker football with a teaching-aside regarding menorahs.